Black Aesthetics. It was a class I took as an undergraduate many years ago. What defined the term for the purposes of the course began with how Africans from thousands of years ago developed a culture of leisure, creation for pleasure in what is seen. The word aesthetic by its very meaning is "concerned with beauty or the appreciation of beauty" and more openly, "a set of principles underlying and guiding the work of a particular artist or artistic movement". Our numerous discussions naturally shifted to the present and understanding of what encompasses Black aesthetics today on our terms. Specifically an African American aesthetic. There is a reason why Patricia Hill Collins' flagship book, Black Feminist Thought notes the critical implications of experience in her theory. When a "historically oppressed group" such as black women produce "social thought designed to oppose oppression...not only does the form assumed by this thought diverge from standard academic theory--it can take the form of poetry, music, essays, and the like," opposing racist and sexist practices imposed upon their livelihood in these ways. Simply put, "U.S. Black women participated [and continue to participate] in constructing and reconstructing these oppositional knowledges. Through the lived experiences gained within their extended families and communities, individual African American women fashioned their own ideas about the meaning of Black womanhood." There is a daily, moment by moment struggle with intersectionality. 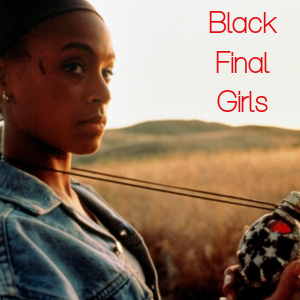 Black women can and do, many times, never, and/or always, magnify our individual and communal Black aesthetic as a part of our identities, bridging our experiences as Black women to our interests. This experience could carry so remarkably in horror films. 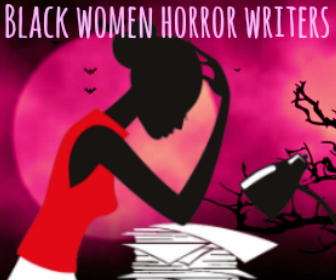 Sometimes discussions on cinematic horror efforts by Black women focus on whether we could even classify the text as horror. 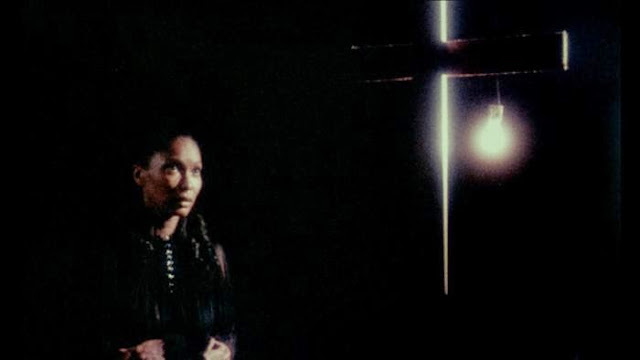 Eve's Bayou, Beloved, rely on a significant degree of supernatural elements to tell their stories. Instead of imagining horror, death, gore and the grotesque, supernatural beings in excess, the emphasis should always be on the attempts at soliciting fear and unease in an audience. With horror, that is the base. What creates a comfortable classification are elements that break the fourth wall: demons, goblins, ghosts, killers, zombies, and various other personifications suspended in the unknown. Our ghosts: how are they different? Ghost stories are so prevalent because every single culture on the planet has a mythos surrounding them. They vary in form and symbolism so much, I'd be here for weeks non-stop writing what I wanted to be a thoughtful essay into a book. But imagine ghosts acting as direct reflectors of our fears an anxieties. Or as malevolent guides into the nightmares faced by Black mothers losing their son's at disproportionate rates. Ancestors past who fought for equality, those that didn't, suspended in acquiescence. The possibilities are limitless. Tales From The Hood (1995) accomplished this to an extent. Although male-centric, it opened the door for opportunities in depicting the fear in African American men's lived experiences. Crazy K in a nuanced way haunted the minds of his three killers in a snapshot of violence amongst Black males in the 1990s. 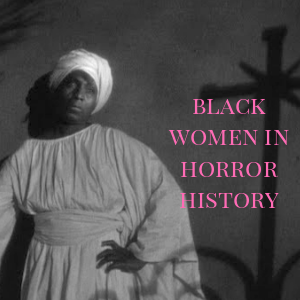 For Black women, we could ask ourselves how ghosts would play a role in our physical and psychological undoing. How our spirits are unique to our beings? The grotesque: Our bodies in historical context. Research, work, and talk about a Black woman's body is never done. 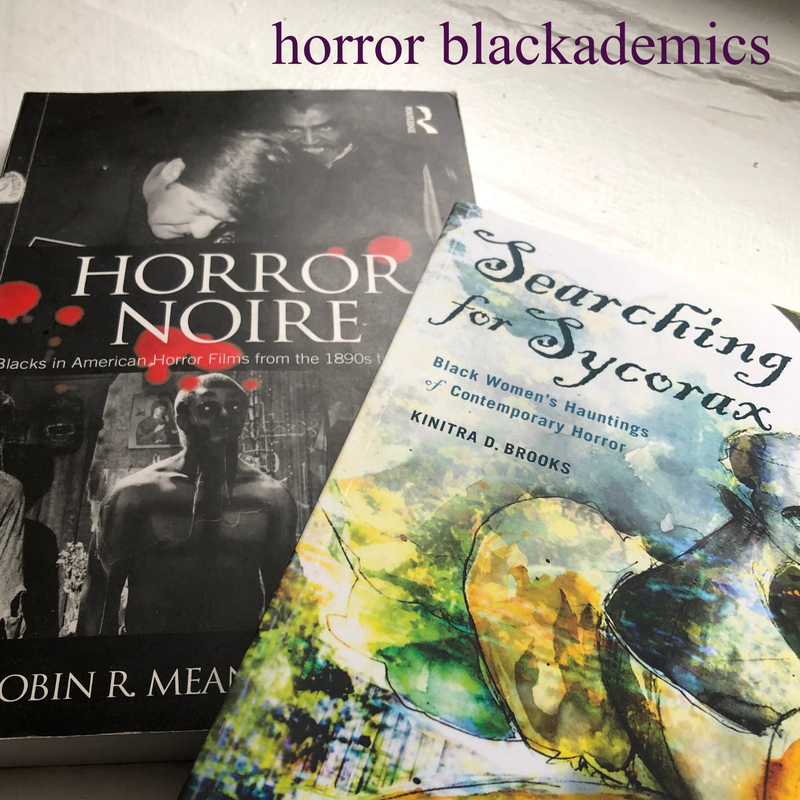 My recent delve into critical reading on artist Kara Walker's "A Subtlety or the Marvelous Sugar Baby" exhibit by the prolific Dr. Brittney Cooper and other cultural and social news monitoring, lately involving Nicki Minaj points directly at a long history of complicated approaches to perception, agency and authority about the Black female body. Once mandated as livestock, ripe for breeding under the most inhumane and psychologically frightening circumstances. This history is taught in these essays, in college classrooms and so forth because of an argument that surrounds the cycle of a time where literal ownership over our bodies were littered with an ideology that places an unwavering burden of negativity on our physical selves. Our lips are too big, our voices are too deep, our skin is too dark, our hair is abnormally textured. A Twitter inquiry from model and filmmaker Lary Love Dolley pointed directly towards tackling these issues within the horror genre. With fervent excitement, I assume she is looking into developing a horror film surrounding the pervasive perm, hair straightening process when she asked if it had been done before. I've personally never seen a film that has, but I imagine the vast possibilities for discussion and extreme special makeup effects! We are taught we are the antithesis of beauty, yet we 'produce an opposed thought and aesthetic' designed to challenge history as it carries into the present. 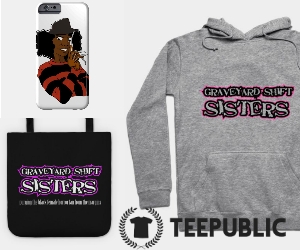 I've been attempting to conceptualize a space for Black voices in the horror film genre for awhile now. 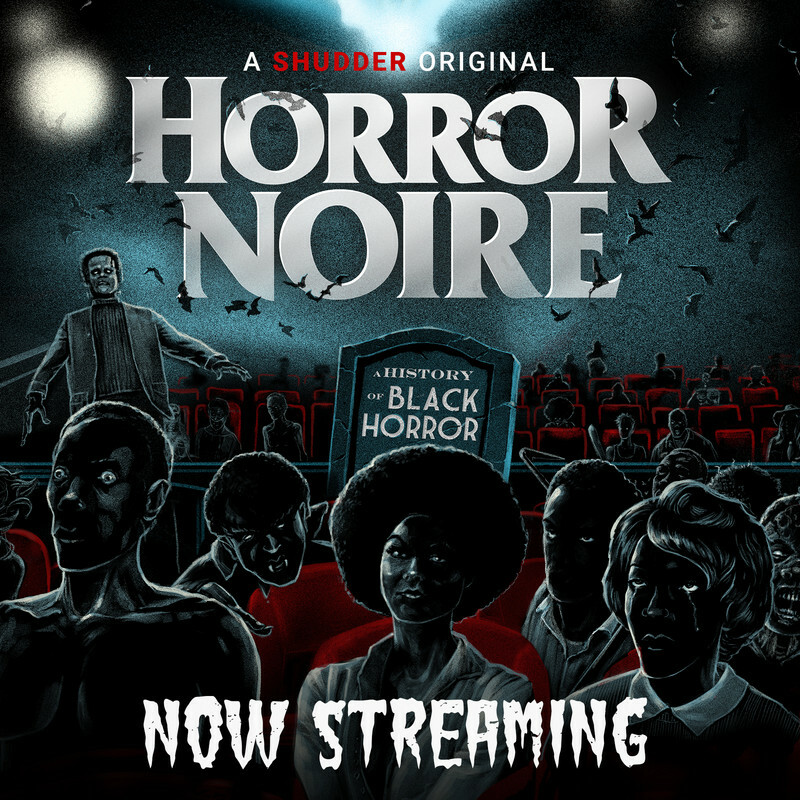 Imagining new ideas for thought when we think about what a "Black horror film" is and how we can take our definitions further. 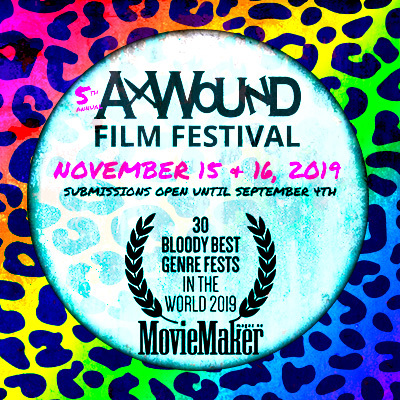 Our experiences and cultural productions are so convoluted as to be so ripe for cinematic exploration in genre film, that it would bring a fresh flood of originality horror desperately needs.